We have been spending a lot of time in our school garden lately. 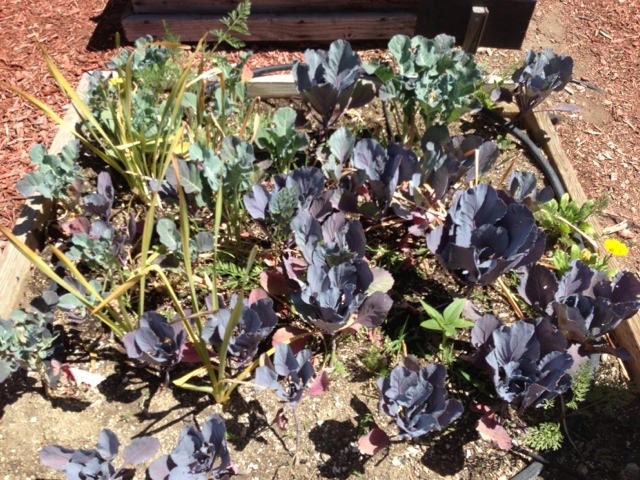 Our vegetables are growing fast, and there is so much beauty everywhere you look! The other day we did a "garden color" activity. Students brought clipboards, pencils, and graphic organizers out into the garden. 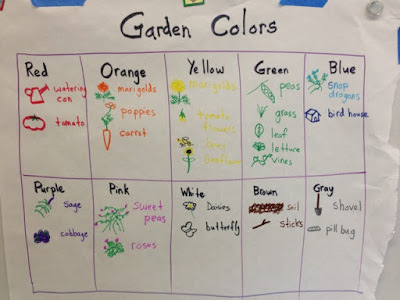 Then they tried to record things that they saw for each color on their paper through writing and drawing. I also created an anchor chart to help my kiddos out, because writing is still tricky for some of my first graders. 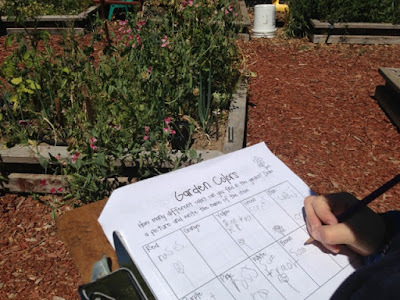 The assignments turned out great and everyone had so much fun being outside. 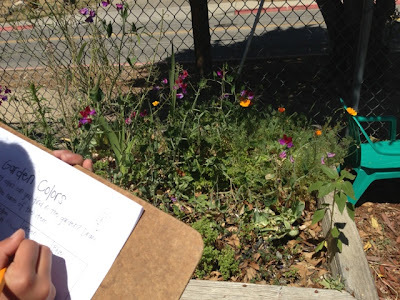 Even if your class only has a small planter box, this activity is totally doable. This is one of the activities from our new garden product that you can check out HERE if you are interested. Have a great time out there in the dirt! Hi! I just found your blog through your linky. I used to work for SLCUSD as a special aid in their speech/language "PEEP" program when I was going to Cuesta and Cal Poly. Now I live in Paso and am a 1st grade teacher. 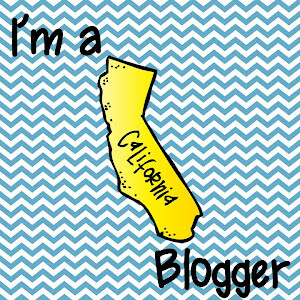 Excited to find some local bloggers! I'm your newest follower. No way! I did my student teaching in Paso when I was at Cal Poly. Now I teach first grade in Templeton, but we live in SLO - small world! Thanks! It's pretty fun for the kids to go exploring outside and then report back with everything they found. You should try it!